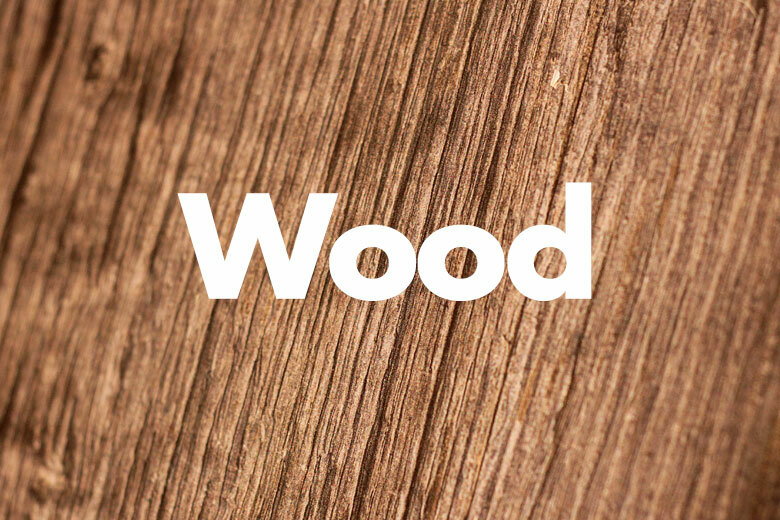 Expo Milano 2015 materials tour: wood Brad Turner. November 24, 2015. 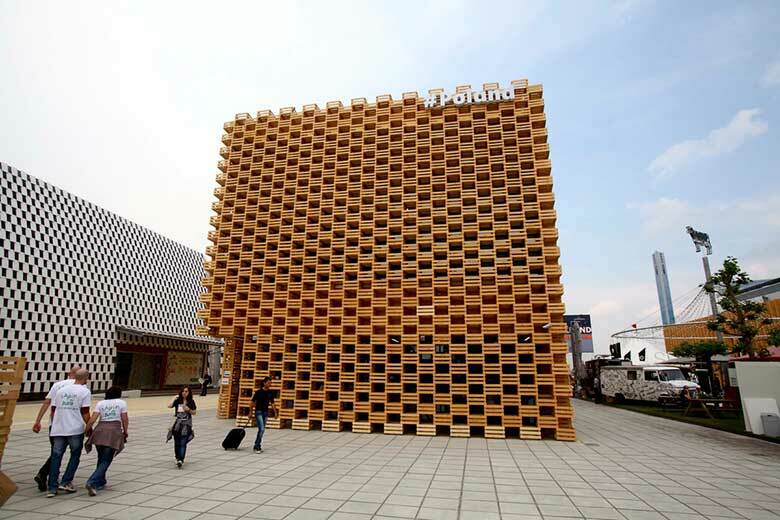 In our third of four posts we take a look at wooden pavilions. 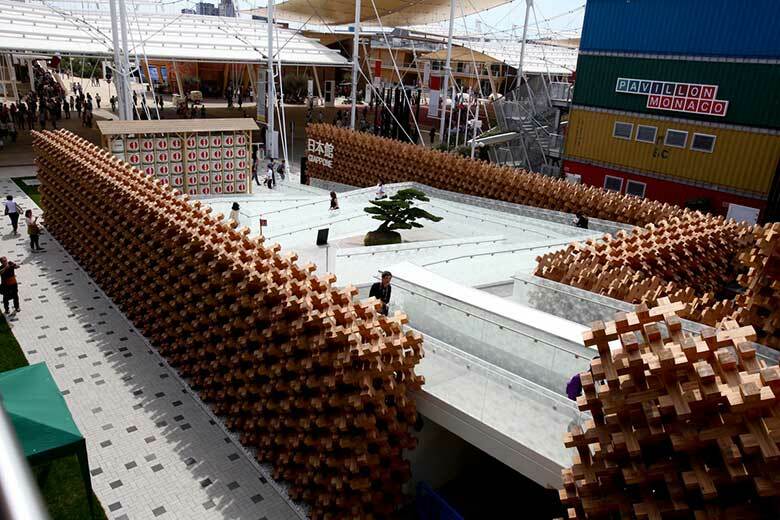 A modular system was used to create the Polish pavilion, the open lattice structure being made of wooden fruit crates used in the transportation of apples. 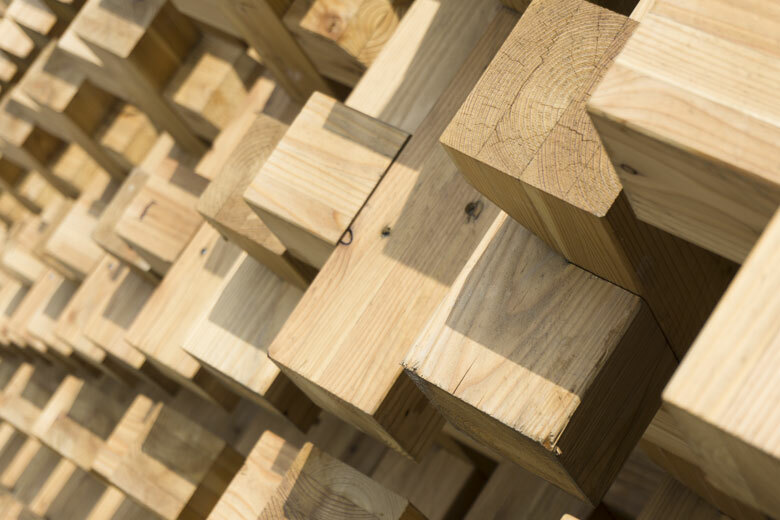 Lightweight, low-cost and produced from abundant softwoods, the timber elements were an ideal choice for a temporary structure. And, of course, carrying apples. 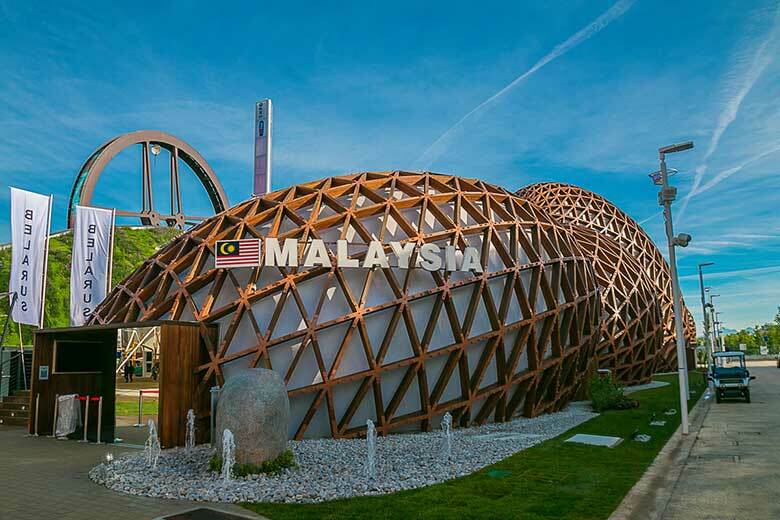 Inspired by the form of seeds, the Malaysian pavilion was a series of open-structure glulam domes. 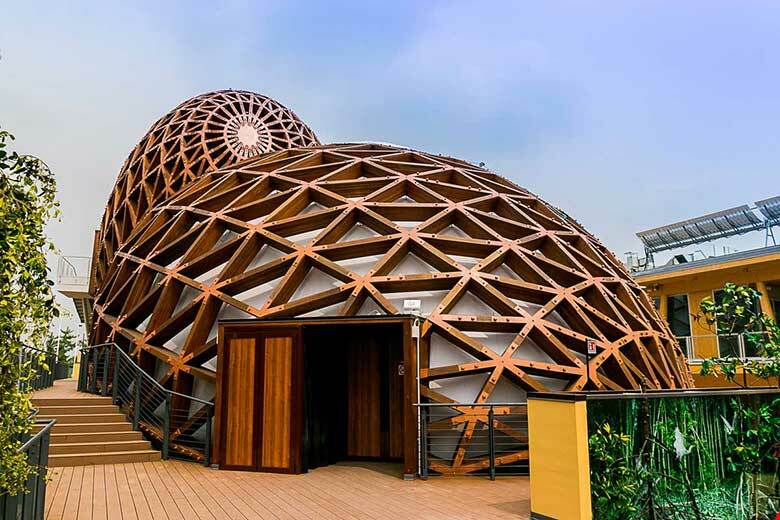 Due to the tropical timber species used the glulam elements had a rich brown tone, unlike the straw colour more familiar in European construction. 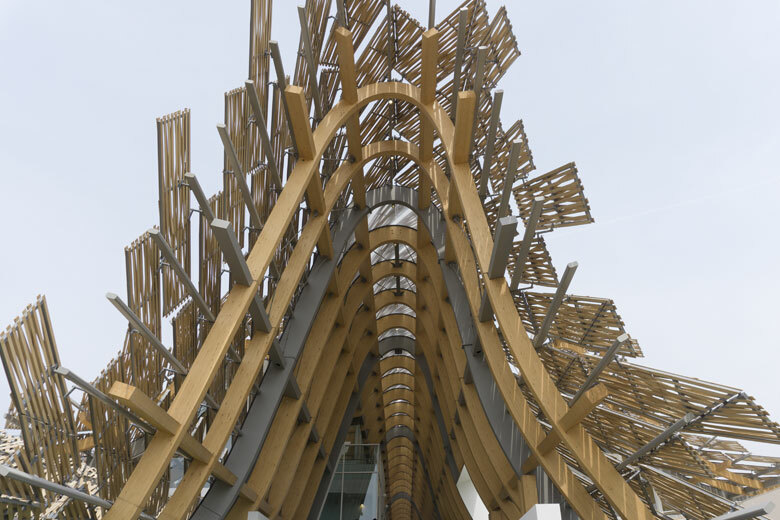 The pavilion was produced from 200 metric tonnes of glulam manufactured in Malaysia, shipped to Italy and assembled on site using steel components. 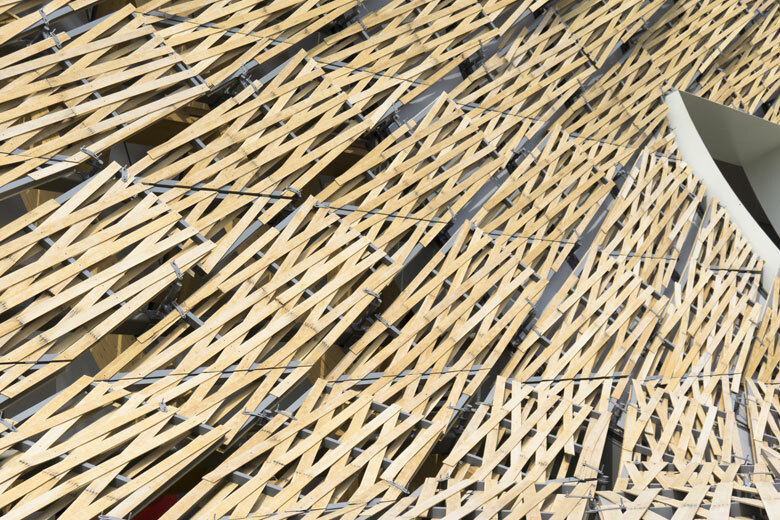 Another favourite of ours, China’s pavilion was a glulam and steel structure clad with 1,052 woven bamboo panels. 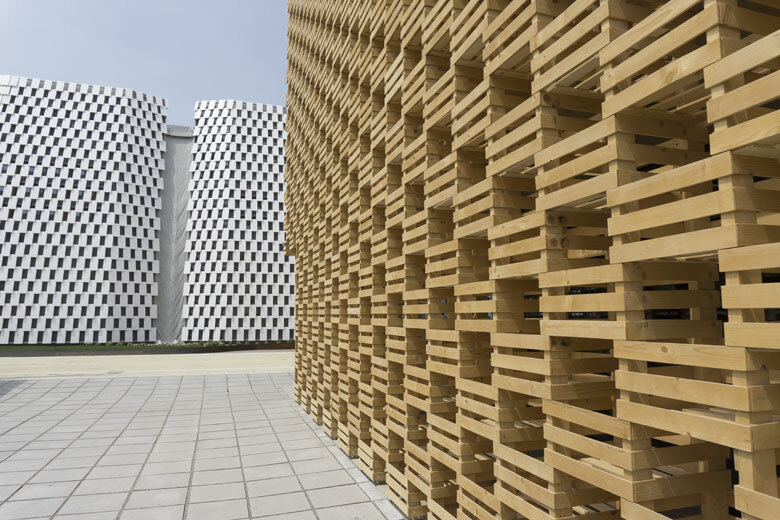 The cladding panels were made from layered strips of bamboo mechanically fixed to an aluminium frame. 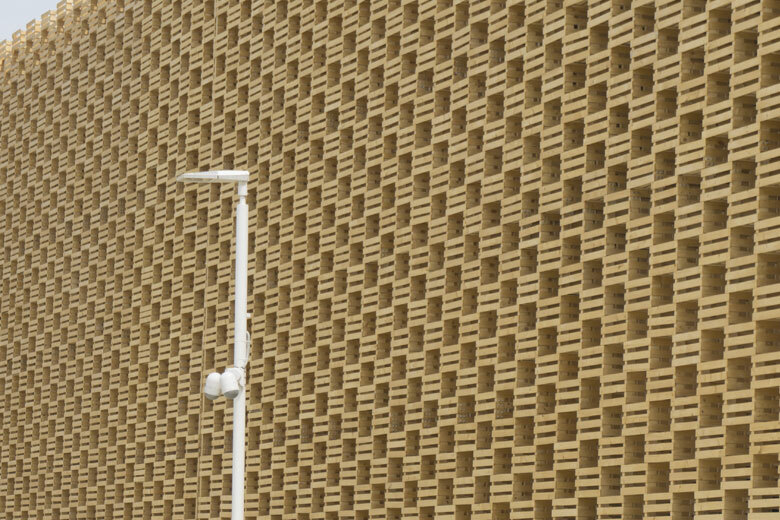 Over 300 panel variations made up the flowing lattice structure. 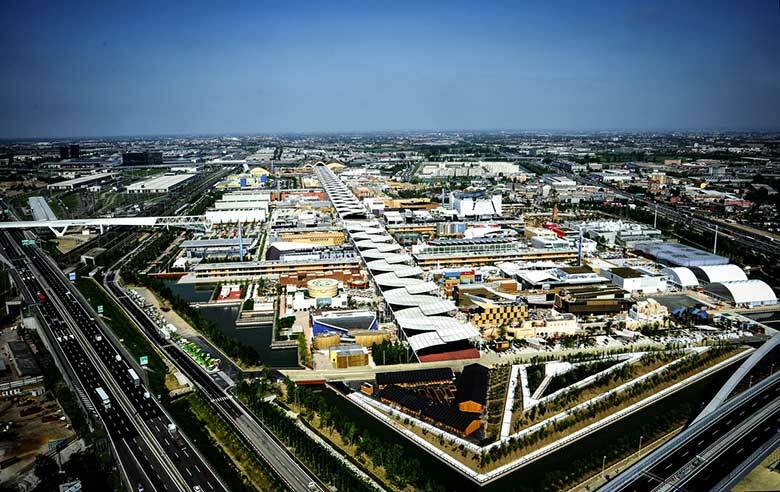 Now the expo has finished, the structure will be disassembled and transported back to China to be erected in a public park in Qingdao. 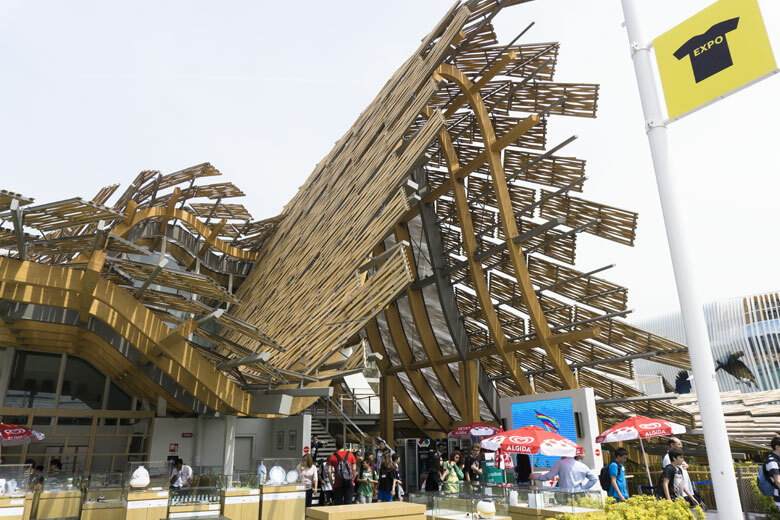 A showcase of their advanced timber technology and manufacturing capabilities, the French pavilion was produced entirely from robotically-cut glue-laminated larch and spruce (French grown, of course). 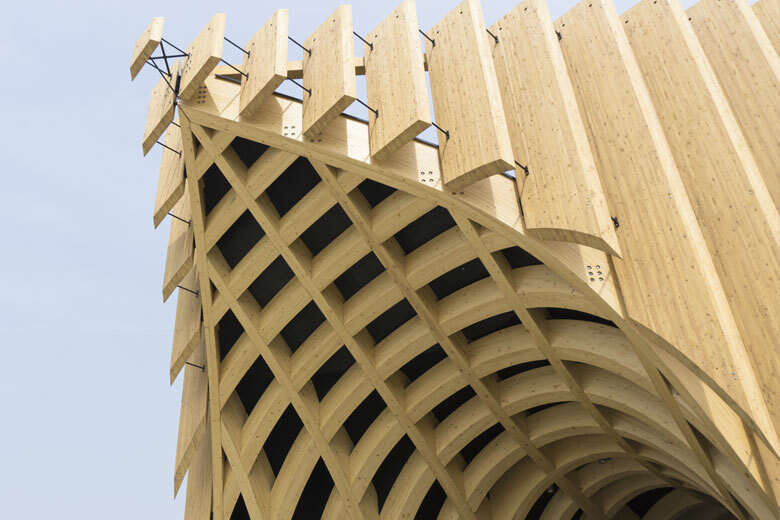 The precision of the digital production methods allowed the freeform geometry and the meticulous interlocking timber joints that define this pavilion. 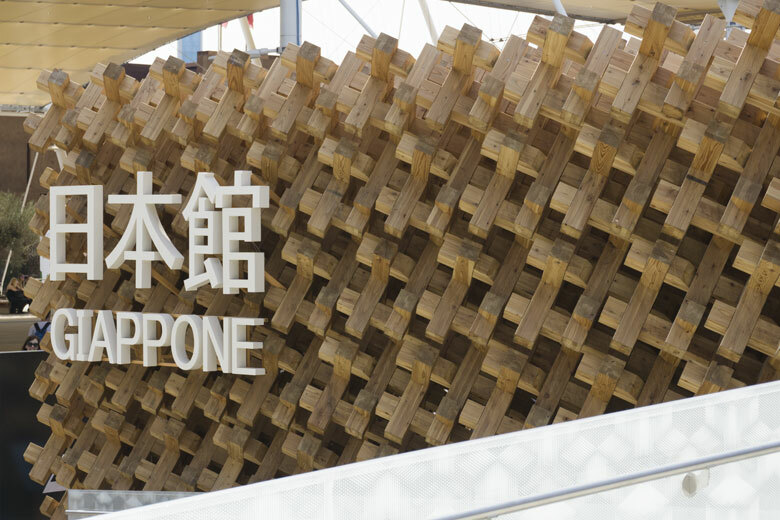 The Japanese pavilion showcased Japan’s carpentry skills and mastery of both traditional and contemporary techniques. 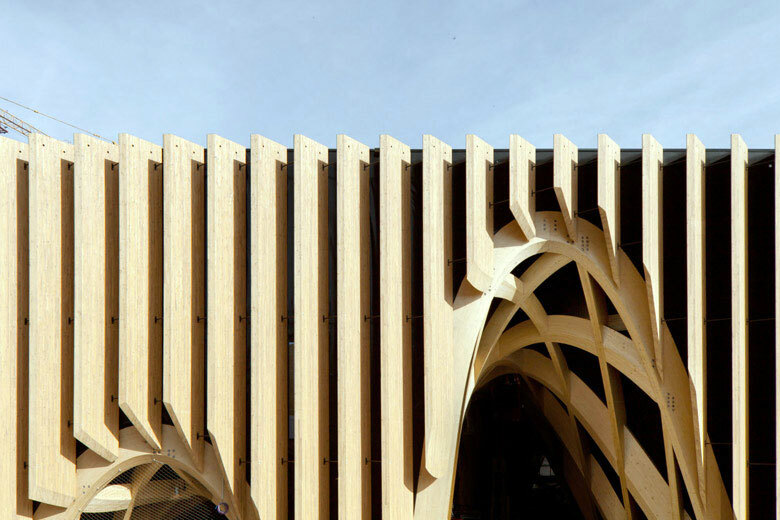 A vertical wooden lattice gave the pavilion it’s defining aesthetic, while creating a calm courtyard leading to the interior. 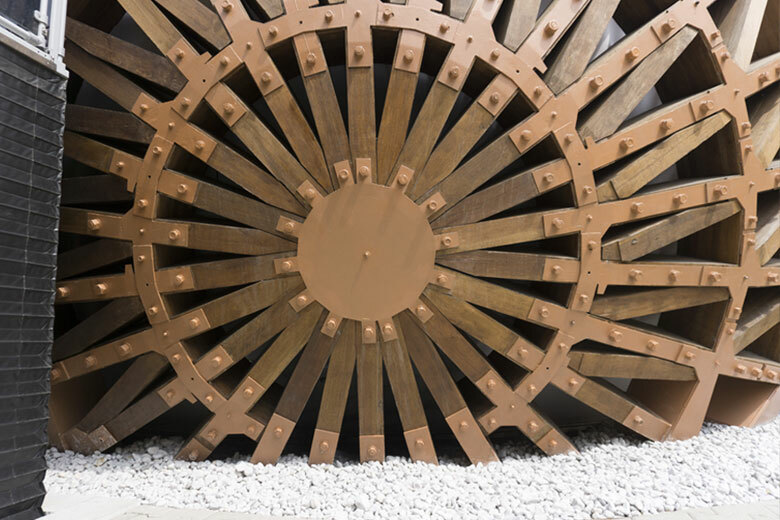 Combining traditional techniques with digital analysis, through a ‘compressive strain method’, allowed an all-timber construction with no mechanical fixings or adhesives whatsoever. 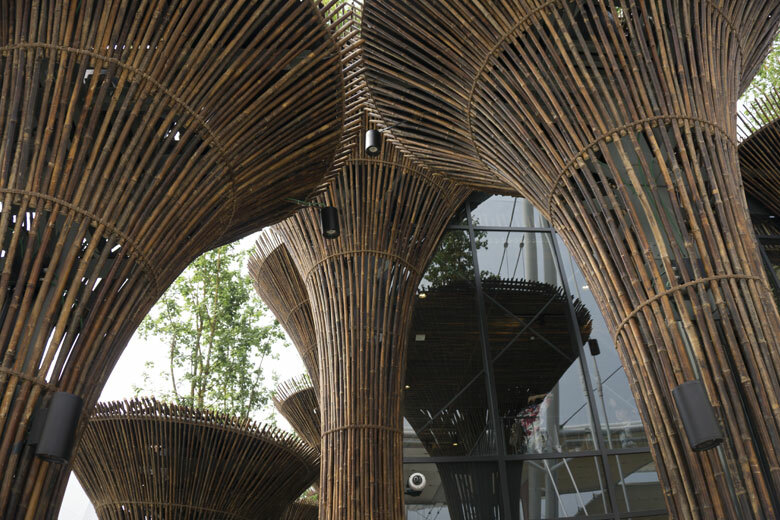 Rising Vietnamese architects Vo Trong Nghia were selected to design their home country’s pavilion, for which they chose to use a material they have almost become synonymous with: natural bamboo canes. 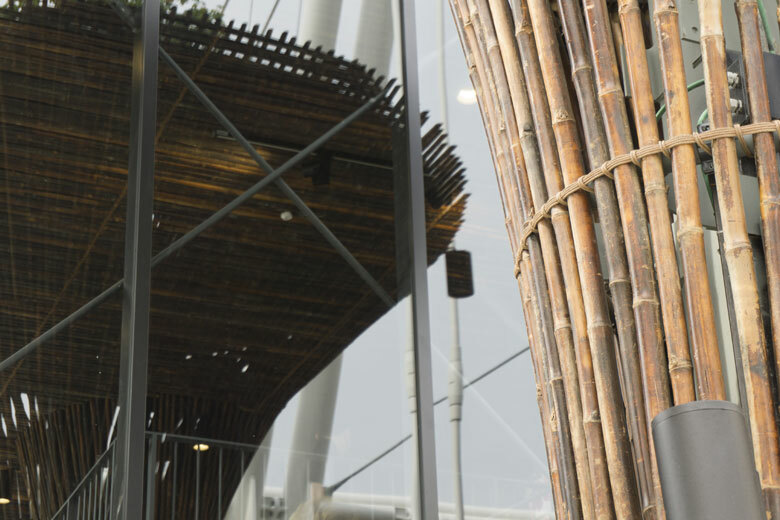 Flared bamboo columns were created by tying bamboo canes together, through a combination of a traditional rope tying and modern mechanical fixing methods, and then attaching the columns to a, largely hidden, steel structure. 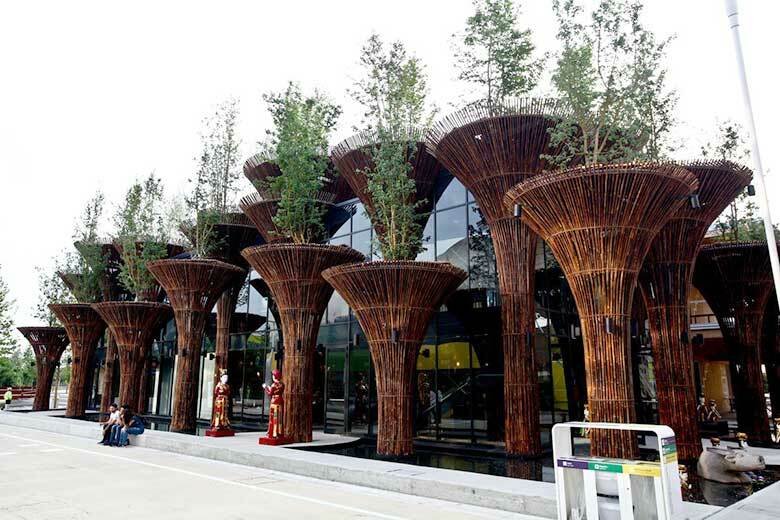 To install the 46 bamboo columns, 20 experienced Vietnamese craftsmen were flown to Italy and fabricated the features on-site. 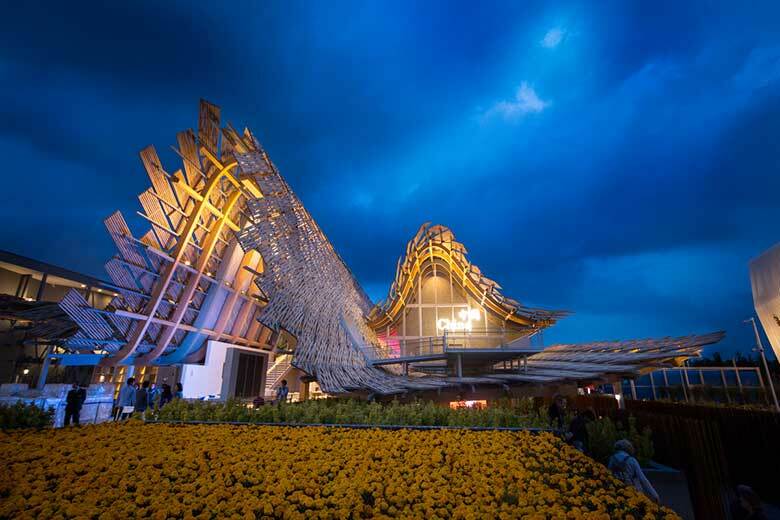 Join us next week as we complete our whistle-stop tour of Milan Expo 2015. Next up: textiles.